Figure1: Interface of General Configuration. Data type - The data type Double Select is an drop-down object which allow multiple selection through of two selection windows and a navigator betwen them (<< < > >>). Label Search - Allow to define the field title in the filter. Use same Label used on the Grid - Allow to use the field title which is configured in the grid. Width - Allow to determine the field width. SQL Type - Database Field type. 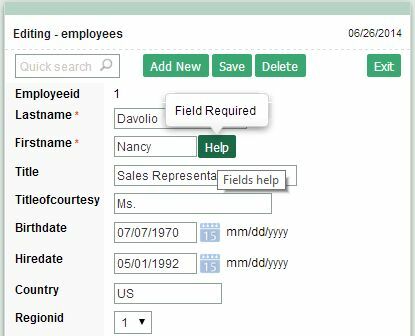 Edition lookup enables a list of values display on forms fields. 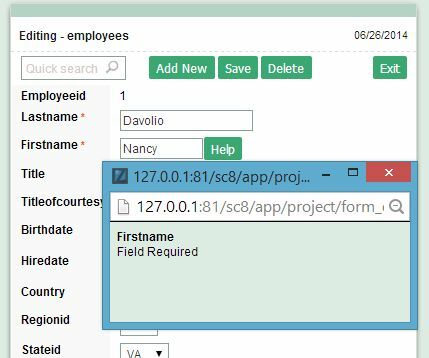 SQL Select Statement - The query used to feed the select object on the form application. The developer shall use the pattern: "SELECT key_field , display_field FROM table ", retrieving always two fields. NOTE: The key_field will be stored on the current field when updating / inserting a row. It is possible to use complex SQL commands using many tables , views on it. Delimiter - The character used to separate the items on generated string, the default delimiter is semicolon ( ; ). 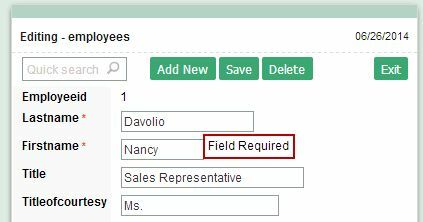 Reload form when value has changed - Forces a form reload upon selected field update. Display original and lookup value - Displays the field value and the lookup return value. Separated by - Character used to separate the field value and the lookup return value. Only applicable when using the option Display original and lookup value. Use specific connection - Allows to run the SQL statement in other connection available on current project.